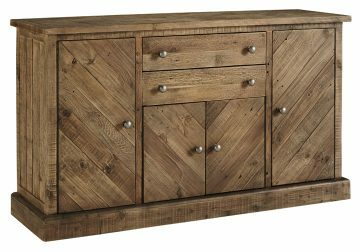 Grindleburg dining room server is a well-made modern farmhouse piece. Designed with reclaimed pine wood, it pays homage to natural materials. Punctuated with a splendid two-tone chevron pattern on the front and top, adding plenty of earthy élan. Drawers and doors are adorned with aged pewter-tone knobs. 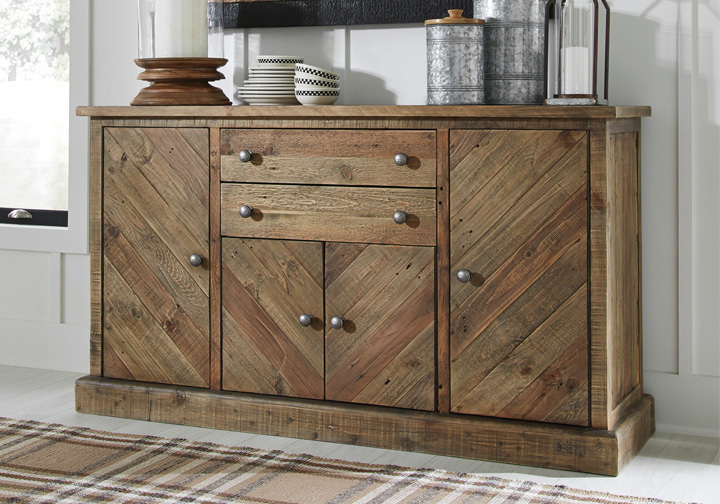 Ample storage space makes this server as functional as it is gorgeous.